A blend of wool and acrylic keeps this shrug warm and soft without being scratchy. Beautifully cabled this shrug has a classic look while also having the features of my other shrugs. 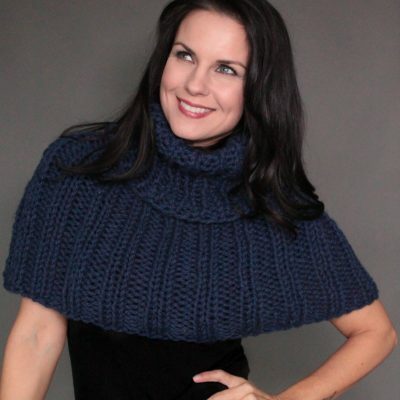 Can be worn as a hood, bunched up around your neck and shoulders or even styled to wear like a capelet like when you’re feeling like a Highland lass!